East Atlanta-based, 18 year-old hip/hop artist Raury released his debut work Indigo Child at 12am on August 25, and made a larger impact on me than I ever expected. The care-free nature of “God’s Whisper” drew me in close and I began checking up on Raury regularly. I had read about his much-anticipated debut album Indigo Child, but couldn’t find a release date until Raury announced it on his twitter account. Indigo Child is revolutionary, both in its musicality and its delivery. Raury is a musician first. That fact becomes obvious from the get-go. With a variety of instruments and harmonies not heard since Jay Z’s Unplugged album with The Roots, Raury takes his musical talents and applies them to pure hip/hop. The entire album is almost void of pure electronic beats – this album wasn’t made on a computer, it was created in a studio. Raury himself plays the guitar on a few tracks, a skill that translates well into his live performances – which have been few and far between, although that will hopefully change soon. Lyrically, Raury leverages his youth to drive home a wide array of human emotion. Driving down the road with this album playing, I found myself viewing my seemingly “adult” problems and feelings with an eye of my younger self. Raury simplifies themes such as fading love, pushing the lines, breaking the mold, establishing yourself, and many more into lyrics that everyone can relate to. But that’s not to say his lyrics are childish or naive. On the contrary, he uses simple imagery to break down complex themes but does so in ways you’re not expecting. You can’t just passively listen to this album, it requires your attention. Gone are the common and over-used theme of throwing money at problems, prevalent in even some of today’s best hip/hop albums. Instead Raury focuses his attention on emotional issues and overcoming them. From “Woodcrest Manor Master”, where Raury reminds us of how love for people and places fade over time with the lyrics “If this view becomes nothing new to you, just remember once it was beautiful…”; to my personal favorite “Superfly” which reminds us that life is simple at its core – Raury makes us all reflect on our own lives. Interspersed throughout the album are raw clips of Raury arguing with his mother about his career, his dreams and his ambition. It’s a portrait of the struggle of all artists at some point in their life – balancing their dreams with the need for safety and security. 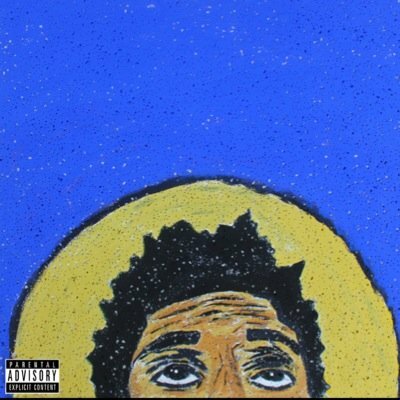 Everyone’s been there, Raury just decided to put it in his album. For me though, the most revolutionary part of Indigo Child is the way Raury delivered it. I’m a bit of nerd when it comes to the structures in which art exists. The music industry in particular fascinates me because it essentially has been built to filter out real talent and make music a product to market as opposed to marketing it as an exploration of creativity. Raury took measures into his own hands with his debut album. The album won’t see the light of a box store shelf, nor (at least at the time of this writing) will it see the likes of iTunes. Raury self-produced this album and put it online for free. Yes, for free. it’s a trend catching on all over the music industry, and especially in the underground hip/hop world where artists like Chance the Rapper are on the cusp of greatness while making all of their music totally free. There are so many tools out there today that enables artists to distribute their work to the public without the need for a Best Buy. If you’re like Raury, you build up a core following, create a lot of hype, and then hold out until people can’t wait any longer and hit them with your best work. Then you make it free, allowing your creation to spread faster than artists who may take a more traditional route, and you bet on your talent to carry you to a profitable record deal and tour – on your own terms. It’s a bit more risky, but it puts more power into your creative skill as opposed to a well crafted marketing campaign by a team who hasn’t even heard your music. But additionally, Raury did something brilliant. While the album is free, in order to get the download link, you have to play a game. It’s a simple game where a stick figure, carrying the face of a character Raury has put all over his work thus far, has to jump over obstacles. But you can’t just play the game and get the album – you have to score 1,500 points. What Raury has done is found a way to sift out audiences who might be passive in their quest for music and makes everyone work, ever so slightly, for his music. You’ve got to want to hear Raury, you can’t merely be interested. All the while Raury’s first single “God’s Whisper” plays in the background, so by the time you download the album, you’re already familiar with at least one track. Raury is going to make huge waves in the music industry. He isn’t the only one breaking down the barriers of hip/hop. Kanye did it with Yeezus, Chance the Rapper’s Acid Rap did it, and J. Cole blew the doors off mainstream hip/hop with his latest album Born Sinner. But Raury is one of the first underground artists to have the blessings of legends like Kanye, Jay Z, and Outkast (he opens for them in Atlanta later in September), take hip/hop in a totally different direction musically and lyrically, and successfully break the mold of music industry distribution standards. It’s genius. To play Raury’s game and download his album for free go to: indigochildproject.com.